We've been hearing a lot of chatter about Apple's 2018 lineup already, and we can expect three new iPhone models to arrive this Fall. The new lineup includes an upgraded 5.8-inch iPhone X, a 6.5-inch OLED iPhone X Plus and a new 6.1-inch LCD iPhone. The latter is what I'm the most excited about due to some new details, and here's why. KGI Securities analyst Ming-Chi Kuo has just dropped some new details on the iPhones due to be revealed later this year, and there's one remarkable aspect of the new 6.1-inch model that will make a lot of people do a double take. Kuo says in the investor note that the 6.1-inch LCD iPhone will cost as low as $550. Based on the price, that makes it a strong competitor to many Android phones. 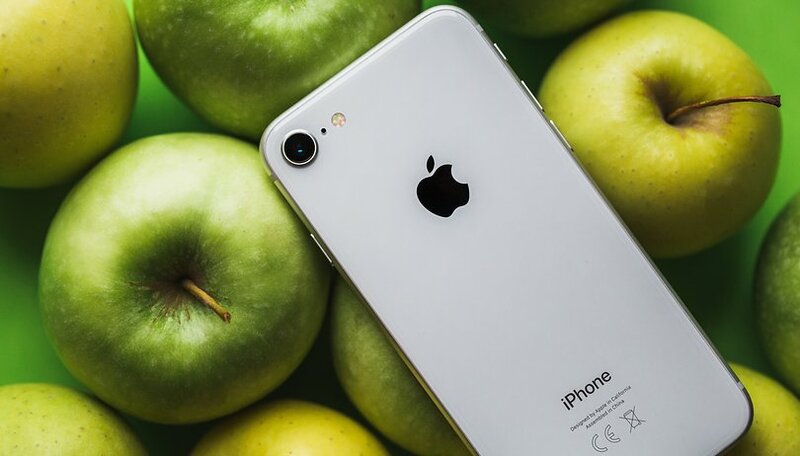 Apple's devices are known for their high prices and high quality, so such a low price for an iPhone could invite a bit of suspicion or hurt the exclusivity of the brand. Then again, maybe the potential gains would be worth the risk for Apple. What the iPhone X has lacked in sales numbers, it seems to have made up for in high profitability, and the 6.1-inch iPhone could flip that script to sell a lot of reasonably priced smartphones. Between the third quarters of 2018 and 2019, Kuo expects Apple to sell between 100-120 million units of the 6.1-inch iPhone. The 6.1-inch LCD iPhone could have two models according to the report. There would be a cheaper standard model with a single SIM and a second model with dual SIM. The dual SIM model would be dual SIM standby (with no eSIM), meaning the user would have to specify which of the SIM cards is able to make calls, as opposed to a dual SIM active where both cards can be enabled simultaneously. Don't hold your breath for that second SIM slot to have microSD support. The single SIM variant of the most affordable of the three upcoming 2018 iPhones would cost between $550 and $650, while the dual SIM model could go for $650-750. The single SIM model could “help increase market share in China and commercial markets” according to Kuo, and I have no doubt that it could sway some Android users in the US whose primary gripe about Apple products is their price. Right now, there are a ton of the latest and greatest Android options in the same price range: the OnePlus 5T ($569), LG G6 ($419), Google Pixel 2 ($551), Samsung Galaxy S8 ($594) and so on, but the new Apple smartphones cost hundreds more than that. For those of us who don't want to drop the maximum amount of cash possible on a product that will only last a few years before needing to be replaced, the new 6.1-inch LCD iPhone could be the relatively reasonably priced Android alternative we've been waiting for. Are you excited for a lower price or dual SIM support? Let us know what you think of the upcoming iPhones in the comments! Let's Just wait and see. Maybe this will be my opportunity of getting an ample products. For $550, There will be big compromises, remember it's apple, they don't give anything away for free. As long as it has band 71, I'm in! I'm definitely interested if the price is right. I use an iPhone 6s for work and have to admit that there are some features of iOS that make it smoother in use. But there are some features in Android Oreo I really like to, such as smart lock and the handling of notifications.